Doubt cries, "It is impossible! You can't, you can't go on!" 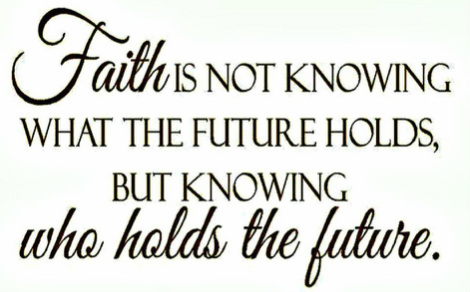 Faith softly whispers, "Yes, you can, just trust in God. Be Calm." Doubt cries, "Look down! Your path is steep and rough with stones and briar!" 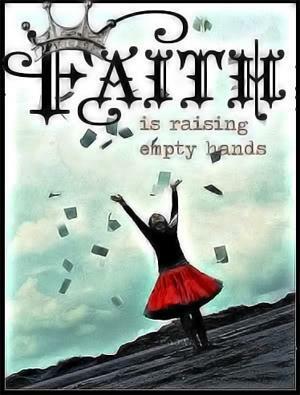 Faith gently says, "I'll take your hand, it's beautiful up higher." 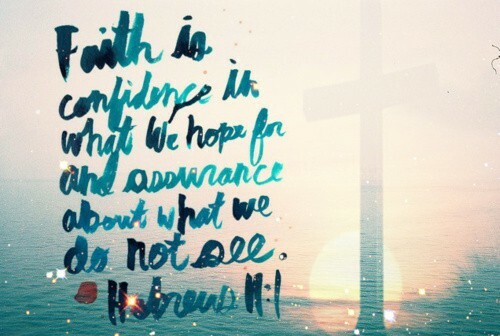 Faith has God, eternal life, and heir-ship to a throne! And so, on unseen eagle's wings, these feet of clay are borne. 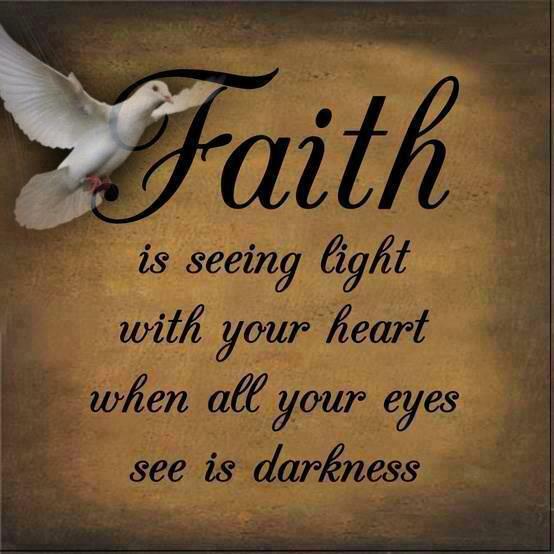 While faith within me sings and sings, we rise above the storm! "Therefore we conclude that a man is justified by faith apart from the deeds of the law." "Thus also faith by itself, if it does not have works, is dead." and not by the works of the law; for by the works of the law no flesh shall be justified." the psalmist will trust in God because he knows and understands the power of God. 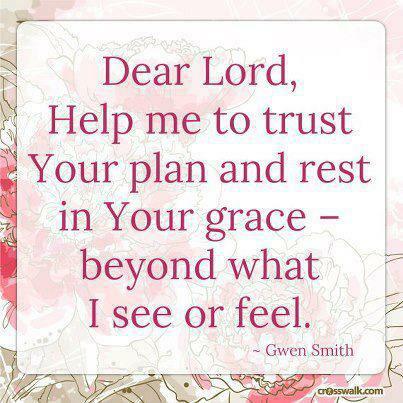 The key to overcoming fear, then, is total and complete trust in God. 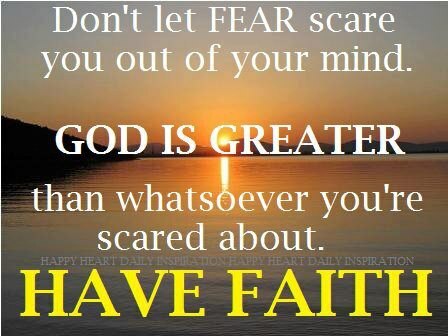 Trusting God is a refusal to give in to fear. 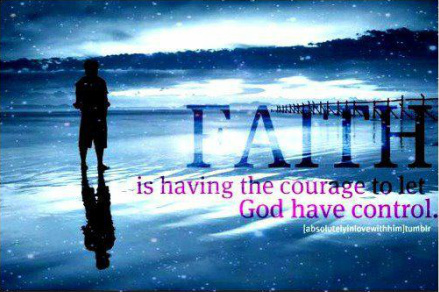 It is a turning to God even in the darkest times and trusting Him to make things right. 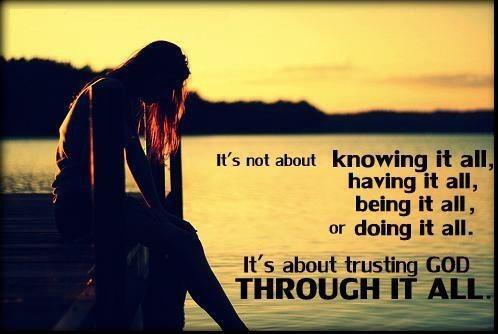 This trust comes from knowing God and knowing that He is good. “Though he slay me, yet will I trust in him” (Job 13:15 ). Once we have learned to put our trust in God, we will no longer be afraid of the things that come against us. that those who love your name may rejoice in you” (Psalm 5:11). and went to the 10,000 member church where he was to be introduced as the head pastor at that morning. and was asked by the ushers if he would please sit n the back. with people looking down on him and judging him. As he sat in the back of the church, he listened to the church announcements and such. ‘Lord, when did we see you hungry and feed you, or thirsty and give you something to drink? he then said....Today I see a gathering of people......not a church of Jesus Christ. The world has enough people, but not enough disciples...when will YOU decide to become disciples? He then dismissed service until next week.......Being a Christian is more than something you claim. It's something you live by and share with others.